Favorite Bay Area Native Plants: TWP Staff Picks! At our restoration sites, we strive to plant native plants that have evolved in our East Bay watersheds, are adapted to our climate, and encourage biodiversity. 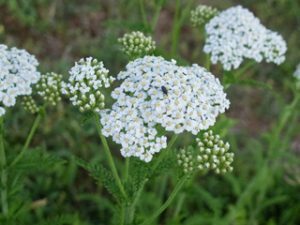 Here are a few (of many) staff favorite native plants that you can look out for while walking through your watershed, or even plant in your own garden. 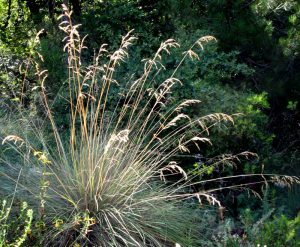 For more native plants of our local watersheds, check out our guide to the Native Plants of the Wildcat & San Pablo Creek Watersheds or our handy plant list of water friendly plants. Perennial, flower stalks reach 2 feet high. Leaves are low growing and fern-like with small, white flower clusters in summer. Pink and yellow flowered yarrow are native to Southern California. Spreads by underground root systems. Attracts many beneficial insects including ladybugs and a wide variety of butterflies. Hang stems upside down to dry flowers. Clump-forming perennial, grows 2-5 feet tall. Has a fibrous root system that is excellent for oxidation and water filtration. Find rushes in our Bioswales and Rain Gardens along the Richmond Greenway! These water-loving plants provide excellent filtration to these features. Seeds and vegetative parts are utilized by waterfowl, muskrats, and birds. Stems have been traditionally used for making floor mats and chair seats. Seeds can remain viable for 60+ years if over-topped with sediments. Is highly tolerant to a variety of conditions. 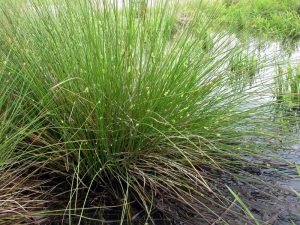 Juncus bufonius (toad rush), Juncus occidentalis, Juncus patens, Juncus tenuis, and Juncus xiphioides are also found in East Bay watersheds. 30-70 feet tall; 60-100 feet wide. Evergreen leaves up to 2.5 inches, dark green on both surfaces, convex with prickly edge. Small flowers form in cylindrical clusters. Prefers sun to part shade. Provides larval food supply to the Spring Azure butterfly, along with many other butterfly species. Over 330 species use oak woodlands for food, cover and reproduction. 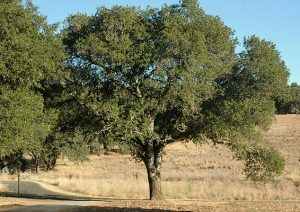 Quercus lobata (valley oak), and Quercus wislizeni (interior live oak) are also found in our East Bay watersheds. Perennial bunch grass, grows 3-4 feet tall. Erect flowering stem stands above foliage with gracefully drooping pale blades. Prefers partial shade and is extremely drought tolerant. Seeds provide food for many birds including the California Quail. Native bunch grasses have been replaced in much of California by exotic annual species introduced by settlers. Festuca idahoensis (Idaho fescue) and Festuca rubra (red fescue) are also found in this watershed.